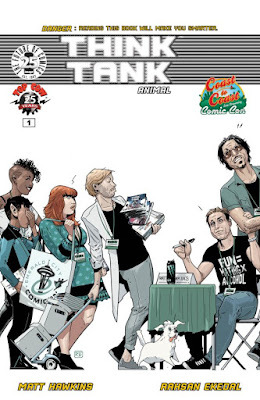 The comic does catch us up with some back story....Think Tank is a story about a young genius, Dr. David Loren who is working for the government in the defense industry, but grows weary of his employers after a series of international incidents spirals him into depression and attempt on his own life. Think Tank: Animal #1 covers Dr. Loren's return to the field and investigation of said incidents which use his tech and animals (hence the title Animals) to pull off assassinations, leading to people close to him being kidnapped by the terrorists who are using his word for bad. This comic is brilliantly illustrated by Rahsan Ekedal (Creepy, Warhammer). 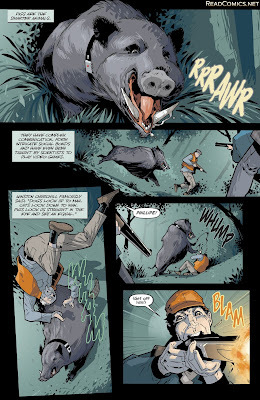 He delivers straight forward comic art thats just busy enough to tell writer Matt Hawkins' story perfectly. Their combination left me feeing like I was watching the latest hit sci-fi television show, with how seamlessly the artist's panels flow with the story line...it even left us with a cliffhanger and wanting the next episode. I'm definitely going to give this series a shot. Matt Hawkins took a few minutes from his crazy schedule to chat with us about Think Tank, duties at Top Cow, and other projects. Check out the Q&A and give Think Tank: Animal a shot. TheSteveStrout: First off I wanted to thank you for the copies of Think Tank you shared at ECCC. To be honest it was my first delve into a Top Cow title. Think Tank was a perfect start. Has the same creative team been on Think Tank for all 5 (?) story arcs? Matt Hawkins: Yes it's always been Rahsan Ekedal and myself doing this one. 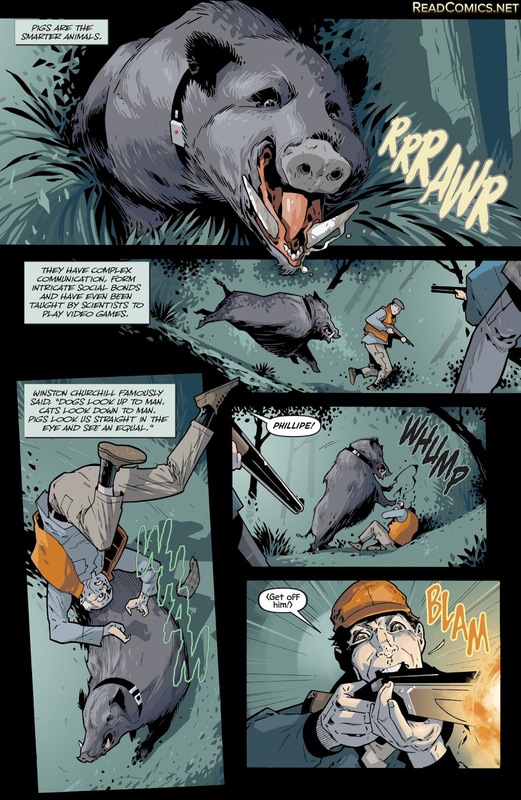 TheSteveStrout: Think Tank: Animal really felt like you adapted a tv or movie script to a comic, with how the story flows. 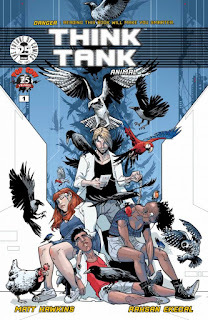 Has there been any interest in developing a live action film or show based on Think Tank? Matt Hawkins: I had sold it for a film option after the first volume came out that ultimately went nowhere. Over the past three years it was being developed as a TV series but that ultimately didn't work either. So I have the rights back recently and trying to assess what to do with it. TheSteveStrout: I found it really easy to jump right in the the series with minimal backstory. Does that apply to the previous books as well? Matt Hawkins: The first three volumes were written as one longer story arc so it would be more difficult to read V2 or V3 without reading V1 beforehand. V4 and V5 are the first ones in color and I wrote them intentionally so that they could be read without anything else being read previously. TheSteveStrout: I know, no spoilers....but is Dr. Loren's dad arriving right after the kidnapping a coincidence? Matt Hawkins: I don't believe in coincidence! His dad showing up is actually an aftereffect of what happened in V4 and he's been called in to check up on him. Issue 2 comes out in the next week or two I think so that should be explained thoroughly. TheSteveStrout: Is there plans to continue Think Tank beyond the current arc? Matt Hawkins: Yep! We do a volume a year and I have about twenty more ideas for future volumes. Every science journal I read gives me about 10 more as well. This is my favorite book i work on so I'd like to be doing it for years to come. TheSteveStrout: About Top Cow. I mentioned I'm not very familiar with many of the titles, for now. 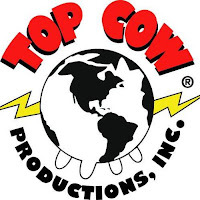 What are a few of the popular series under the Top Cow banner? Matt Hawkins: Well traditionally it's the Top Cow Universe titles like Witchblade, The Darkness, The Magdalena and Aphrodite IX that were very popular in the mid 90's to recent. We've tried some different stuff of late and Sunstone, Postal, The Tithe, Eclipse and Think Tank have all found solid readerships. We're really focusing now on trying to build lifelong readers. TheSteveStrout: What do you feel sets the company apart from others? Matt Hawkins: We tend to counter program what the other publishers are doing. We launched our supernatural brand in the late 90's when Marvel and DC proved their ownership of the spandex set. The Edensverse line of books and the Sunstone line are all intended to reach out to different types of readers. We're always experimenting with new books and stories. TheSteveStrout: Does being part of the Image family allow more creative freedom with your characters? Matt Hawkins: Yes there's a great deal of security and freedom with being part of Image and I feel very lucky to have that. TheSteveStrout: Does being instrumental in the day to day operations of the company affect your creative workload at all? Matt Hawkins: It does when there's accounting and legal work to be done. I have to manage my time carefully. I try to split my day where I work in the AM on creative and in the afternoon on everything else. That works most days. 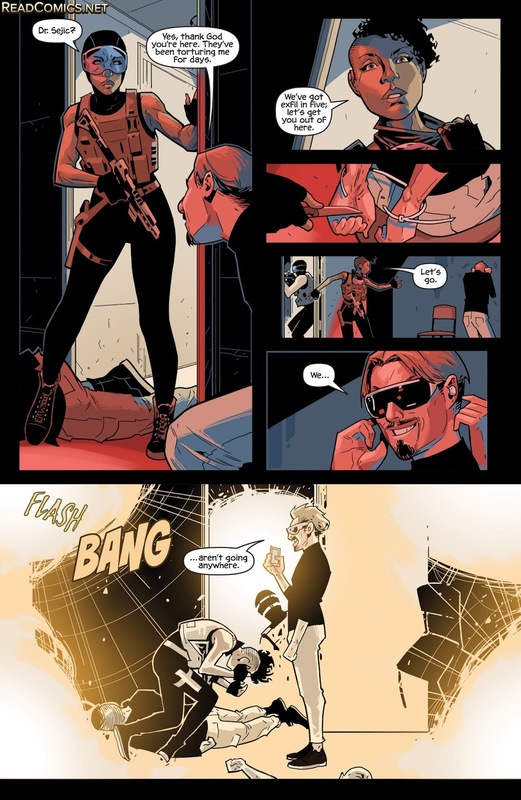 TheSteveStrout: What other stuff are you guys working on, and where is the best place to keep up on the latest news and info from you guys and Top Cow? Matt Hawkins: Social media is best place to keep updated on us. We're @topcow on twitter, Facebook and Instagram. We've always got multiple projects in the works, in the near future we have a new series called Samaritan by me and Atilio Rojo and another book called Swing by me and Linda Sejic. Always have lots of books in development.